Biking in Inle Lake was one of the highlights of our 2 weeks in Myanmar. The countryside is almost as beautiful as the lake itself. In this video, we explore the area around Inle Lake, and take a boat tour to various workshops and factories. We see how fabric is made out of lotus, how to extract silver, how to make wooden boats, and we sample some local cigars. 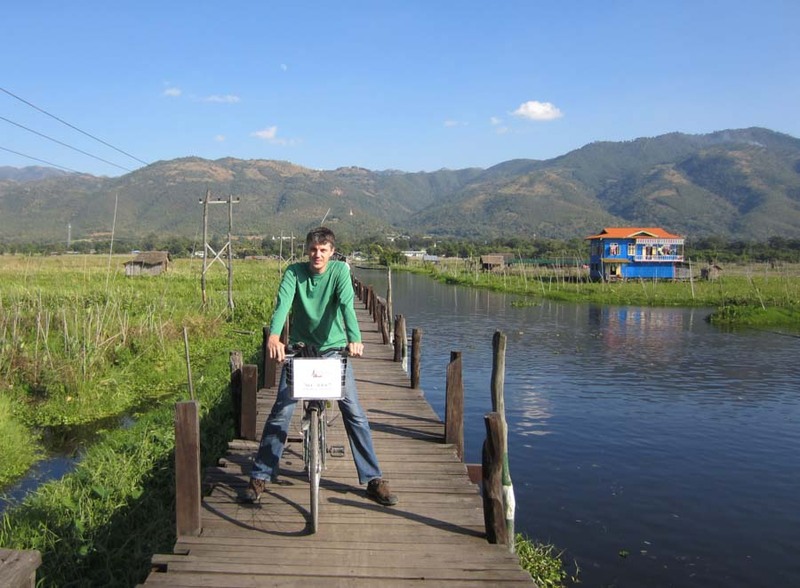 If you are going to Myanmar, biking in Inle Lake is a must. The boat tour felt a bit fabricated, but you should definitely get out on the lake. It’s possible to do sunset tours, or just take the bicycle loop and cross the lake then. For more information about traveling to Myanmar, have a look at my 2 week itinerary. It’s jam-packed with all the information you need to have a fantastic trip. This video is part 1 in the series The People, The Food, The Culture: Myanmar stay tuned for more by subscribing to this blog (in the sidebar on the right), or by subscribing to my YouTube channel. Previous An Example of an Apartment in Vietnam – What you get and the Costs Next What is Traditional Burmese Food?